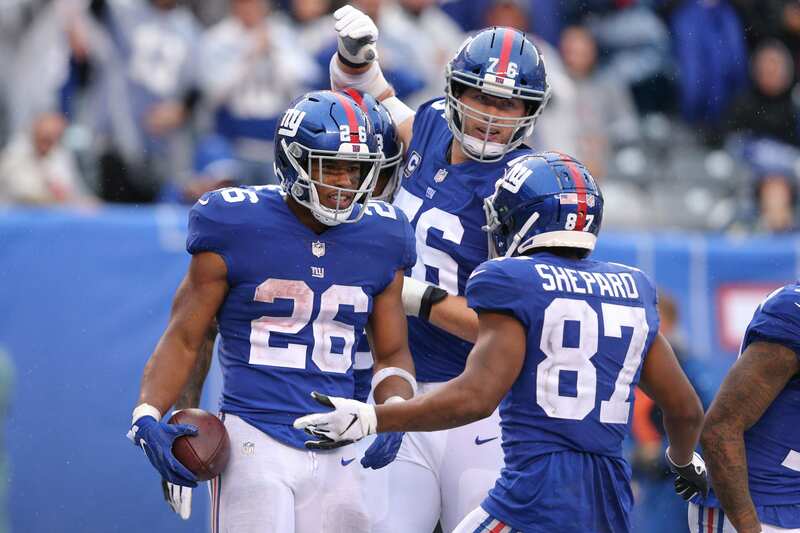 Saquon Barkley is remaining positive while the 1-7 New York Giants head into their game with the San Francisco 49ers on Monday Night Football. While things aren’t going so great for the team, Barkley is one of the rare bright spots this season and is still working on getting better. Not that he isn’t already in the running for the title of best player on the team at the moment. Barkley has found it hard to break the 50 yards mark on the ground this season, only doing so three times so far, but has made up for that by contributing in the passing game. He had 38 yards in 13 rushes on the ground, but had 73 yards and an average of 8.11 yards per catch on passing plays against the Washington Redskins. If he continues on his current pace, Barkley should finish the season with just over 1,000 yards rushing. With the addition of Jamon Brown, however, his performances might get even better. Brown has played in five games for the Rams this season, and as the team is undefeated, they’ve obviously won all of them. He also played in every game for Los Angeles last season, and in the playoff loss against the Falcons. It’s a pretty good addition for one of the worst offensive lines in the league, an addition that might just help the Giants’ top rusher. Should The New York Giants Take A QB In 2019 NFL Draft?